A review and a new career as a columnist…. First up on this dreary Monday morning (has anyone bothered to tell the weather that it’s actually June?) 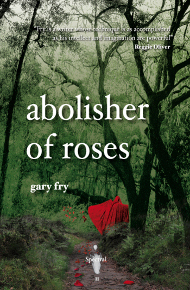 is a short review of Gary Fry’s Abolisher of Roses courtesy of Chris Bissette – his take on the most recent chapbook can be found here. Also, the beginning of this month saw my debut as a columnist for Read Horror webzine, the first instalment of which you can read here…. please feel free to leave a comment or two, and I sincerely hope that you can join me every month for my ruminations on genre, books, film, media and other things.